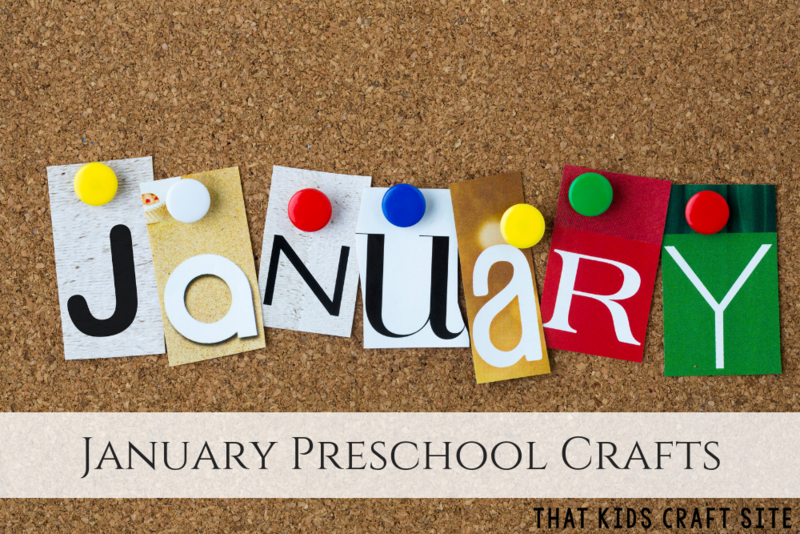 January crafts for preschoolers help you start the new year off right with fun, creative, and educational crafts that kids will love! With cold and sometimes snowy weather, January is a tough time for keeping preschoolers entertained. These fun crafts fit perfectly with the weather of the season, plus we have added a nod to Martin Luther King, Jr Day, as well. 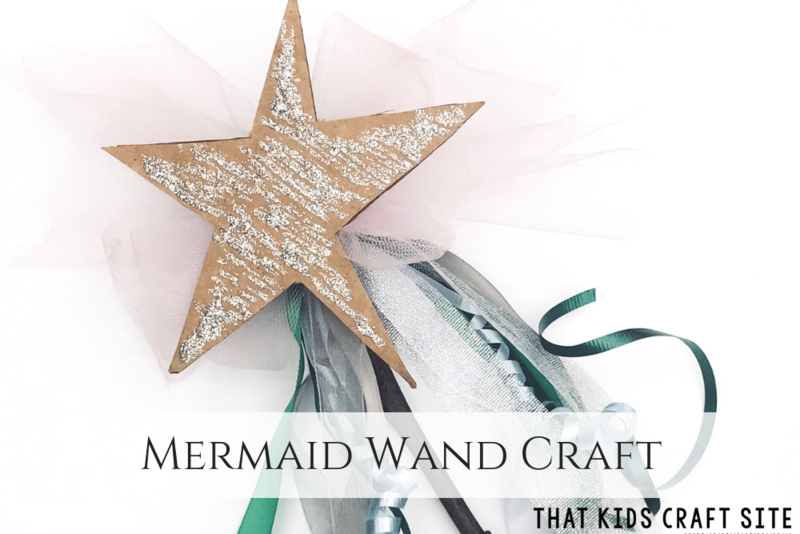 Try a few of these January crafts for preschoolers to help keep little ones occupied and happy, especially on those cold, dreary days when they can’t get outside! This beaded snowflake ornament lets preschoolers build their fine motor skills while having a blast creating their own winter craft! You’ll need chenille stems, pony beads, some yarn, and a pair of scissors. We recommend that adults cut the chenille stems ahead of time as they can sometimes be hard to cut. See our complete directions here. 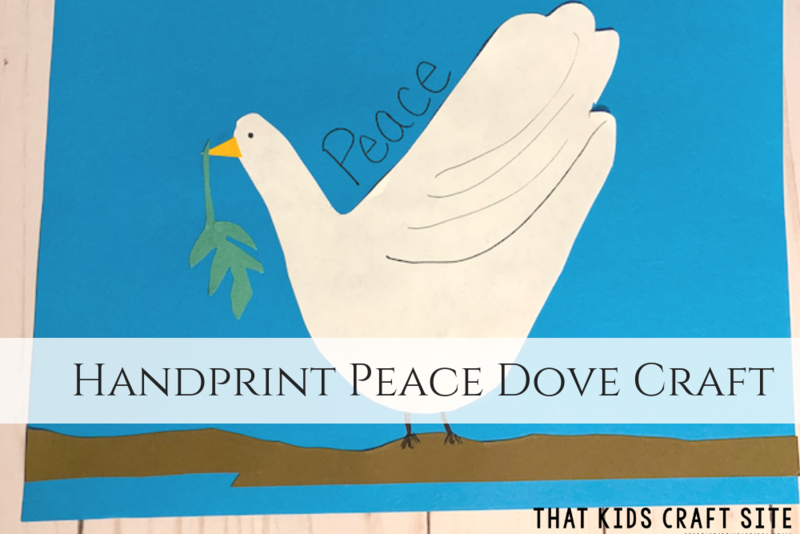 Help preschoolers to understand Martin Luther King, Jr’s mission of peace by creating a Peace Dove Craft. Use white paper to cut a handprint out of construction paper, then draw and glue on the features. The palm becomes the body, the fingers are the wings and tail, and the thumb is the face of the dove. 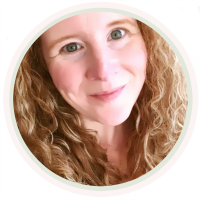 Add an olive branch to make the preschool craft complete. Get the complete directions here. 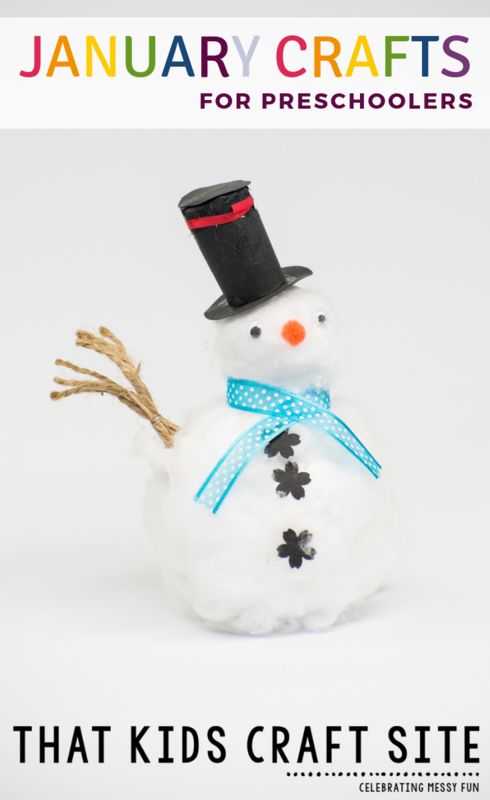 Use a toilet paper roll or a paper towel roll (cut into two tubes) as the body of your snowman. Paint it white and add a face and buttons with paint and scraps of paper. Cut a hat and scarf out of paper and attach with tape or glue. You can make a whole scene for them on a paper plate or just display your snowmen as they are. 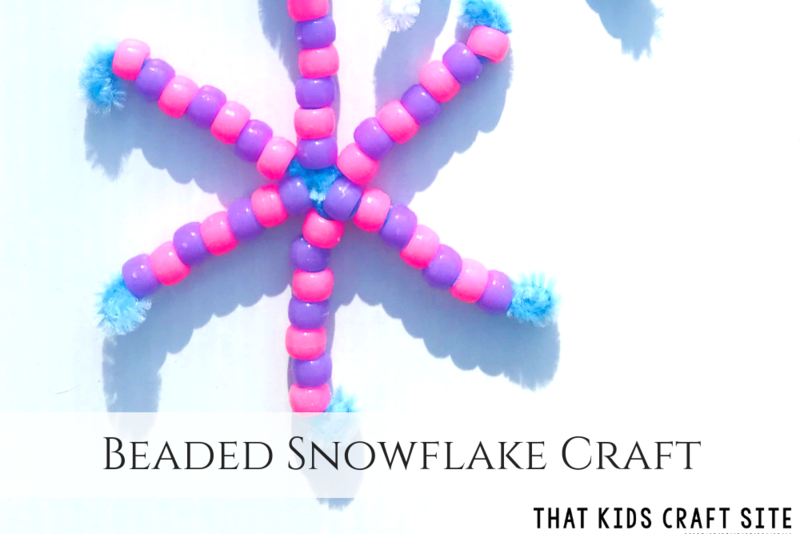 January crafts for preschoolers simply must include a snowflake or two! Wagon wheel pasta can be glued together side by side to make a unique snowflake design. You can use paint and glitter to decorate the pasta snowflakes. Make a simple loop with yarn or string for a fun window, door, or wall hanging! Mix together equal parts white glue and shaving cream to create a perfect puffy paint for creating snow scenes, snowmen, or even clouds. You can use food color to dye your paint, if you’d like to make other colors for the kids to use while creating! Get creative with colored paint, glitter, sequins, and more on pinecones as a fun and simple craft project for preschoolers. Several of these strung together would make a fun garland for a mantel or decoration in a preschool classroom. Remember the dream of Martin Luther King, Jr with this simple craft. 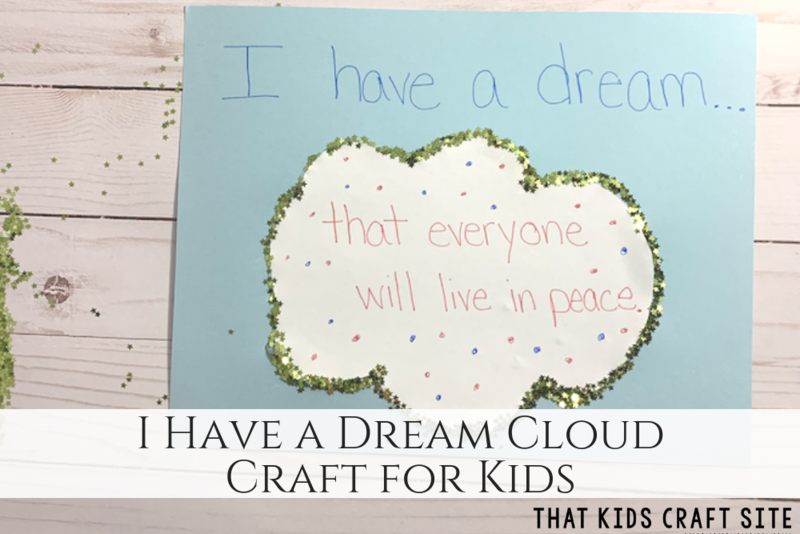 After talking about Dr. King, help little ones cut out cloud shapes from white paper and write or draw a dream they have for the world. 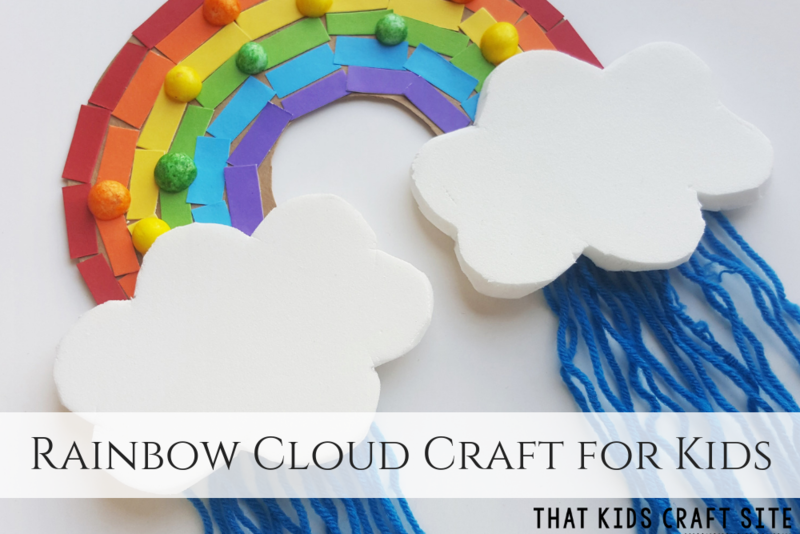 Attach the clouds to a blue sheet of construction paper for the sky. For an extra accent, they can line the edges of their clouds with cotton balls or glitter! Stack and glue together plain sugar cubes on a paper plate to create an igloo. Surround it with cotton balls or large pieces of white glitter to make “snow” around the igloo. 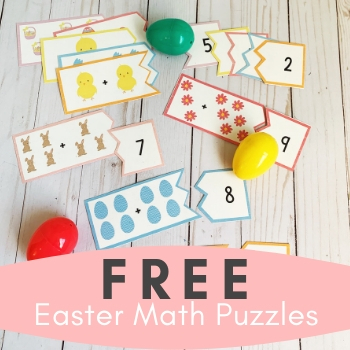 These are a fun decoration or kids canuse them in pretend play! Paint or draw a white circle on a piece of colored construction paper, then let little ones draw a winter scene inside the circle. Glue on a construction paper “base” to the snowglobe and add glitter or other accents to make it shine. Hang it on the wall to display! 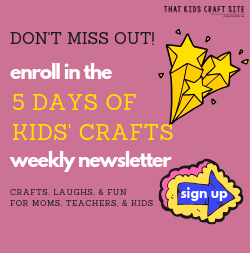 No matter what the weather outside, these crafts will keep little hands occupied and having fun throughout January!